Toveco (www.toveco.com) will be displaying native natural New Hampshire gold / gemstone jewelry during the Gilsum Rock Swap & Mineral Show on June 23-24. Owner James Tovey says he’ll be showing raw gold from the Moosilauke watershed in the Warren and Benton area, and gemstone material is from the Tripp Mine in Alstead. “All the gold was collected by my prospecting friends, Peter Cram and Dale Carlson, and myself.” Tovey cut the gemstones and cast the jewelry findings himself, and did all of the stone setting and finish work. 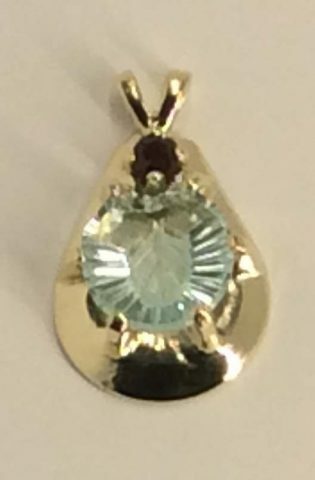 The pendant and aquamarine ring are completely New Hampshire-native jewelry pieces. The photos here represent about 35 years of design work, and 1 1/2 years of learning the casting process and mastering a 3d printer, Tovey says. Casting silver is straightforward because Tovey uses standard casting grains. “But casting NH gold is different because I use it as found,” he says. The purity of New Hampshire gold ranges from 20 to 93 percent. The secondary material in the gold is silver, so alloying the gold has been a challenge, Tovey says. 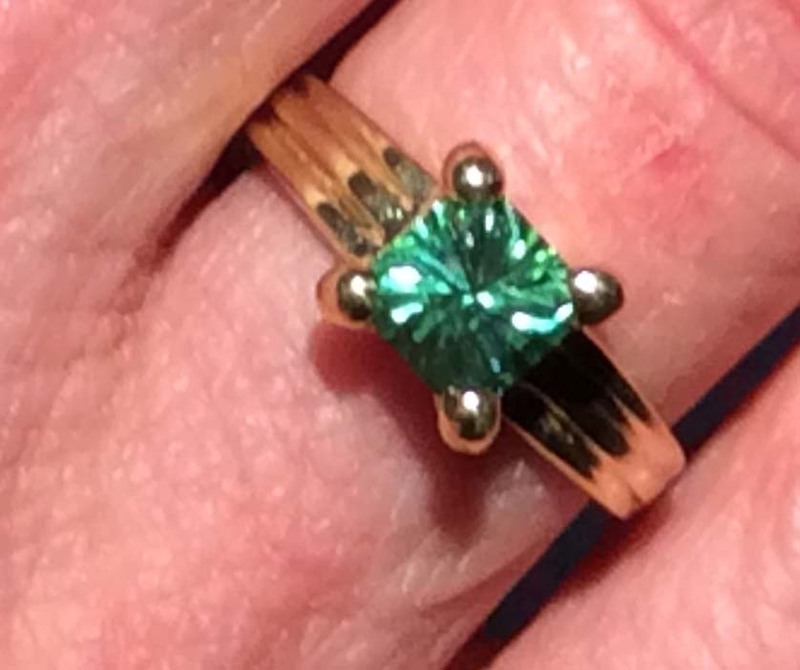 As for an example the pendant is 15K, the Aqua ring is 16K and the tourmaline ring is 17K. To determine the carat weight he has them tested with an X-ray fluorescence spectrometer, an x-ray instrument used for the chemical analyses of rocks and minerals. “I’m making progress on a process for alloying New Hampshire gold. 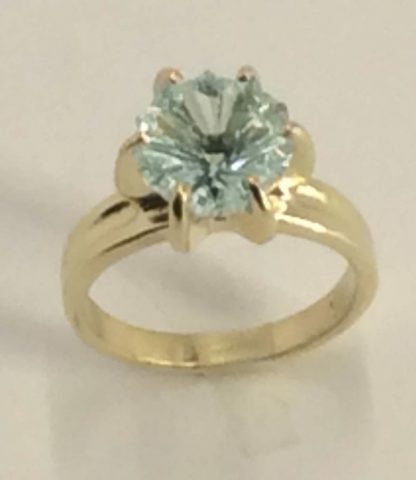 “Gold prospecting pushed me to start casting jewelry findings. This has become a very enjoyable endeavor,” Tovey says. To find out more, visit him in space #33 at the Gilsum Rock Swap & Mineral Show.